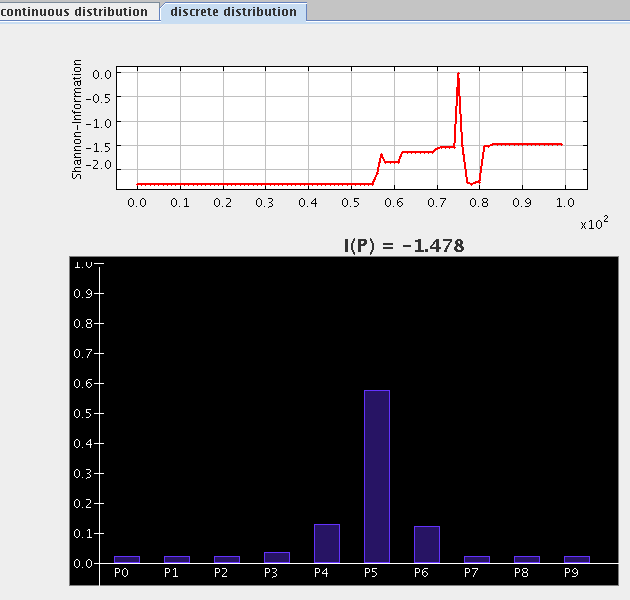 Within this applet one can visualise the dynamics of a predefined or self chosen distribution. Using two tabs one can switch between the discrete and the continuous case. Additionally one can observe the corresponding Shannon information.